Result: Clean mowing at higher ground speeds, less re-cutting, and more time for more lawns. 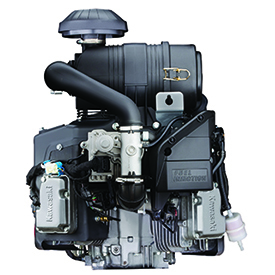 Plus EFI fuel efficiency, and the robust durability that all Kawasaki engines are known for. Available in four different models with horsepowers from 25.5 to 29.5.